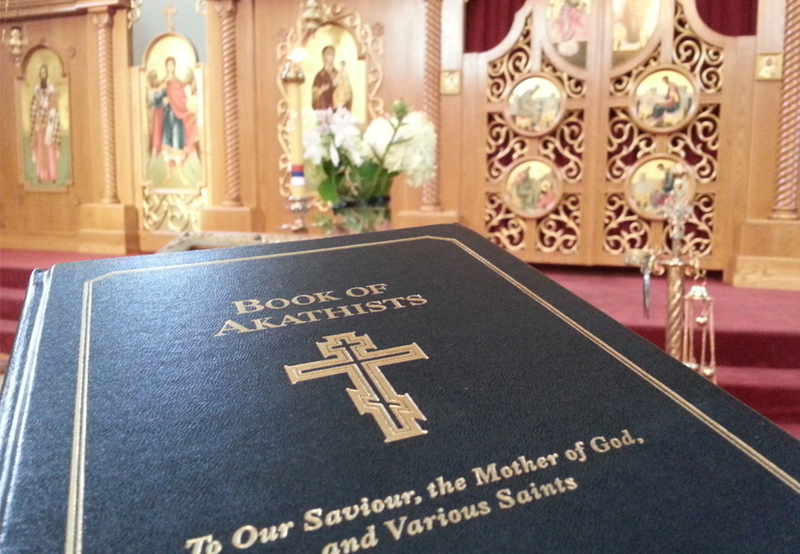 Join us this Thursday, Dec. 31 at 6:00 p.m. at St. Sava Church in Merrillville, Indiana for our weekly Akathist prayers (Click here to learn more about the Akathist prayer services at St. Sava Church). This week we offer praises for Our Lord Jesus Christ. The Nativity of Our Lord Jesus Christ is celebrated, according to Julian Calendar, December 25, and according to Gregorian January, 7. Orthodox Christians are following the Julian calendar which was active during the Birth of Christ. This Akathist is dedicated to Jesus. Joseph and Mary were invited by a decree of Caesar Augustus the Emperor of Rome to register at their home town of Bethlehem. When they arrived they could not find a lodging in any house, and found shelter in a cave. In this cave the most holy Virgin gave birth to the Savior of the world, the Lord Jesus Christ. The shepherds came in from a field after they had heard a multitude of angels singing: “Glory to God in the highest, and on earth peace, goodwill among men” (Luke 2:14). They worshiped Him as Messiah and Savior. At that time there also came wise men from the East, led by a wonderful star, bearing their gifts: gold, frenkincense and myrr, and worshiped Him as King of kings, offering Him their gifts (Mat. 2:11). In the Akathist prayer we will glorify Our Lord Jesus Christ, and His Heavenly Father and the Holy Spirit, asking Them for Their blessings and share with us Their Divine nature. Come and joins us to celebrate the Nativity of our Lord Jesus Christ! 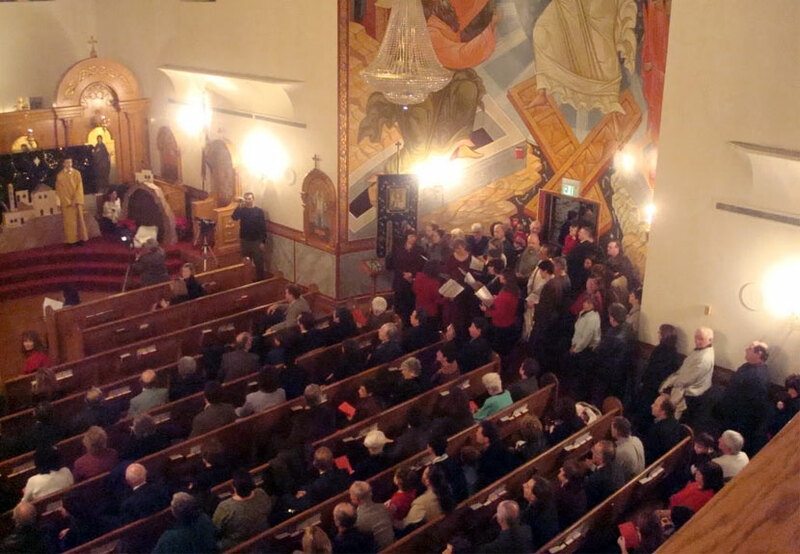 Join us Thursday evenings at 6:00 p.m. in the St. Sava Church for Akathist – a brief weekly celebration of the works of the Saints, Holy Days, and Holy Trinity.